McDougall Dale  ( Twenish) possibly taken at the time they were married. 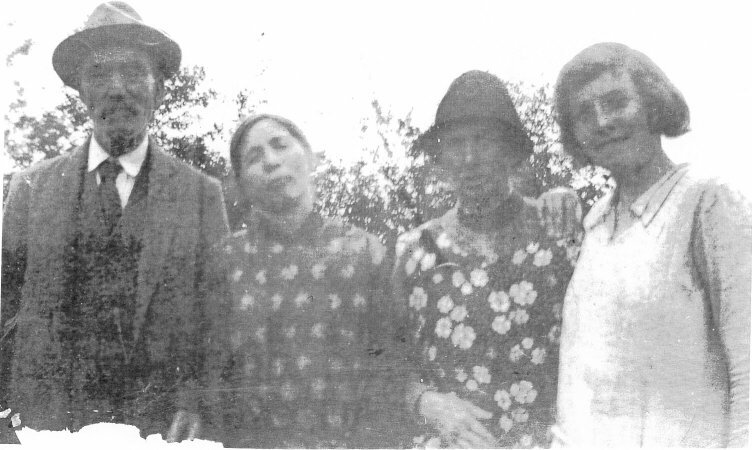 My Great Grandmother was an Algonquin Native from Maniwaki, Her name was Cecile McDougal. seven children. In the 1901 Census the four of them are listed as from Baskatong. I would like to know more about my Great Grandmothers aboriginal background. flooded what happened to church records and graves? she died in 1910 in giving birth to a child whom also died . Here is a McDougal family from the Maniwaki area in the 1881 census. This family may be related to your Great Grandmother. I've added a bit on the history of the Algonquins to this page. some answers on the search of John Dale and Cecil Mc Dougall. 28th 1910 at age 27 and with her a baby that died November 18th 1910 named Cecin Twenish. genealogists,  about John Dale and Cecile. Maniwaki  F.34/37 page 356 - M 17. He was married on 1896/08/21 to Cecile - Cecin Twenish. Dale for some unknown mystery. She died  according to records  de la Paroisse n. D.
September 28, 1910 age 27.
affaires culturelles, 1980 pg 87. There was very little stated about the mission of Baskatong. possible reason to believe it was Maniwaki. Indian Affairs have no records of her husband. in Movilla cemetery Northern Ireland. breaking to read , and so I still search for answers. that area a part of my family past. Have just got back some intresting research to add to my family. Cecin " Cecile" Twenish my Great Grandmother. the early 1850's  permanently in the Maniwaki / Baskatong area. Would be intrested if anyone had any info on Oka / Kanesatake. 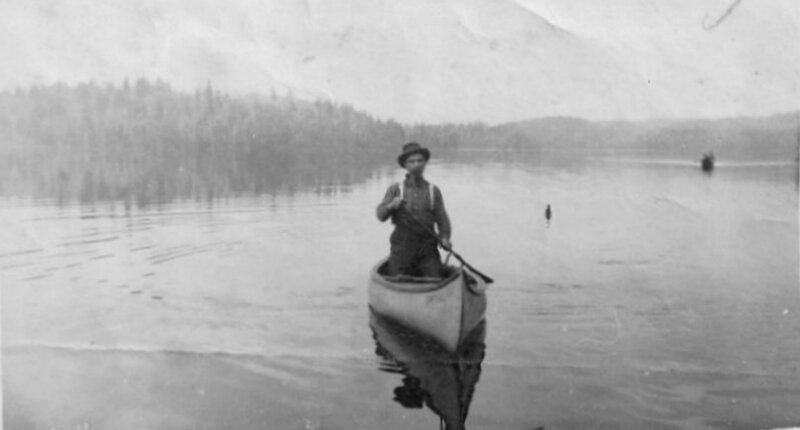 in 1929 , in Baskatong , the lake was called Piskatong by the Indian. stores were constructed. Also a post office. was named St. Francois Xavier, which became a mission. was built to contain the water from the lake. In 1929 it was flooded. lives in this spot , such as my Grandmother and her families. but some older ones remember their parents talking about Baskatong. a wonderful place to bring the family . overtaken by weeds , it also is fenced off. 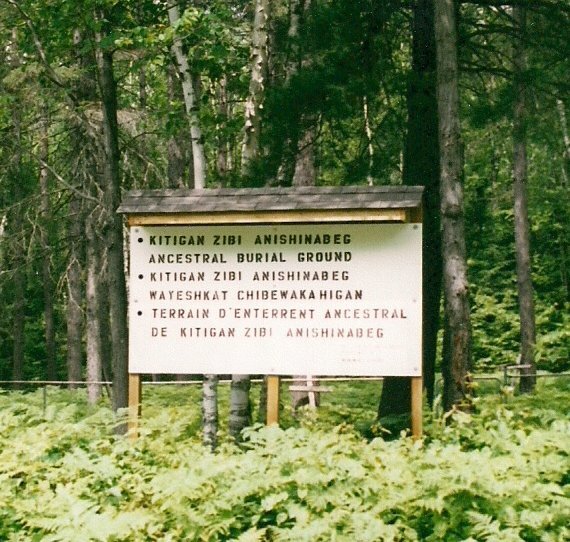 stating they are ancient burial grounds of Kitigan Zibi. Here are some photos you may want to put in the By -Town  album  . Baskatong was a busy area ,  location was about 36 miles from Maniwaki ..
Baskatong Reservoir as it is today. Not much in history books has been written about this area. Bridge . He was a bush worker . 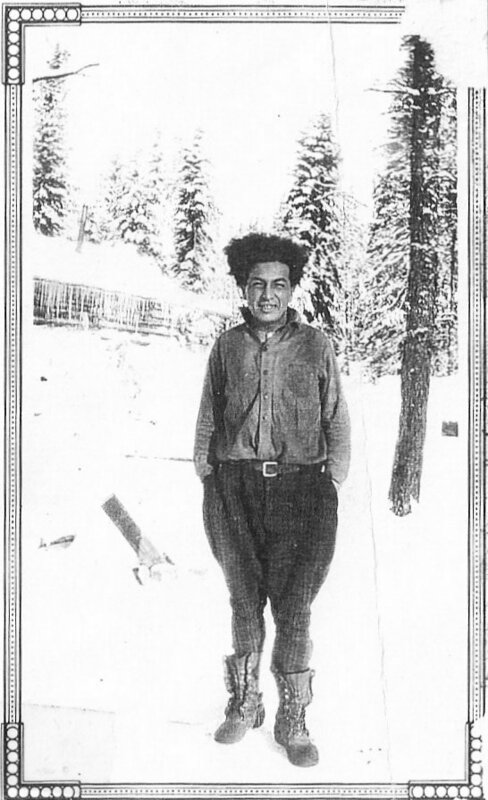 His mother was Algonquin. Grandmother and some family are buried . Hope you enjoy the pictures . one on that road. There are a few grave markers in there. Photo of one of the children, Robert Dale, who was born at Baskatong Bridge. He was a bush worker . His mother was Algonquin. Jean Baptiste Tshieweiban and Mani Mitewinini. New E-mail address for Susan Sirois included in the e-mail list below.